Are Your Cleaning Products Safe ? Did you know that many of the household cleaning products you think you are using to keep your home clean and smelling great could actually be making yours and your families health worse? Nowadays there are hundreds of different varieties and brands of cleaning products from shower cleaners to toilet cleaners , air fresheners to washing powder , to drying sheets and oven cleaner but what do all of these products have in common ? They contain harmful ingredients that sometimes aren’t even listed on the label. If you’ve read our previous blog on ‘5 Ways to Spring Clean Your Health’ I cover some of the reasons why it’s important to have natural beauty products but its just as important to choose more natural cleaning products too, not only does it help your health but it also helps to save you money ! So, What’s in your Cleaning Products? If you use washing powder, detergents & air fresheners then you’re probably using products containing phthalates disguised on the ingredient list as ‘Fragrance. However these phthalates can be absorbed through the skin off our clothes and the air that we breath and can effect hormones within the body and are a common cause of behaviour changes and skin conditions. If you’re using carpet cleaners, tough stain removers and dry—cleaning products then beware of Perchloroethelene or ‘Percs’ which is actually a Neurotoxin so can cause damage to your nervous system and brain as well as possibly being a carcinogen. And Finally, if you’re using ‘Antibacterial’ Sprays and dishwashing detergents chances are you’re using Triclosan or Quarternary Ammonium or ‘quats’ which only need to be stated on the label as ‘antibacterial’. However the issue with these substances is that killing off all of the germs in our homes is actually the thing that is making us sicker not healthier as it causes antibiotic -resistant bacteria to develop. So being exposed to different germs , bacteria and microbes will help strengthen your immune system and increase your immunity. 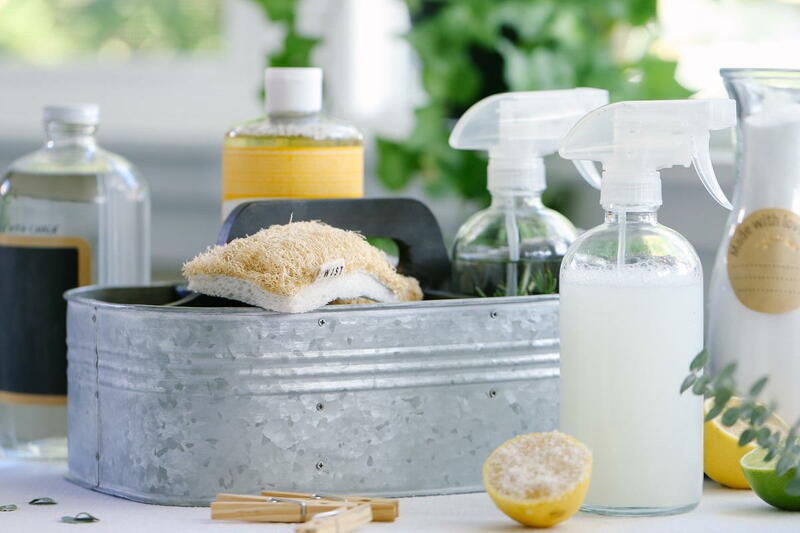 So now you’re probably thinking – well what the heck do I use to clean my house and if like me you love cleaning then take a look at a couple of these more natural recipes for making your own household cleaning products.